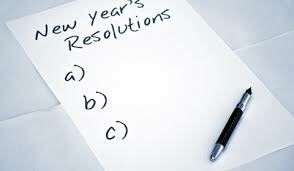 DEAR PAPERLICIOUS: Keeping Those New Year's Resolutions? Having trouble keeping those New Year's resolutions? I put down the newspaper and thought, "So that's how it works." I was 14 and wondering how girls got a boyfriend. Well, Ann Landers supplied the answer -- you start dating when you are 16. I missed the part about how she said that 16 was the minimum age to start dating and immediately concluded that my phone would ring on my 16th birthday and I'd start dating. My 16th birthday came and went and, shockingly, the phone did not ring. I dated a little, but only with fix ups so I could go to the prom, etc. -- my friend's brother, a friend's boyfriend's friend. After high school, I dabbled with a little dating over the years, but not much. Fast forward a couple of decades to January 1, 1988 -- and I woke up and decided it was time to stop waiting for the phone to ring. I was in my mid 30s and I wasn't thinking about marriage, but I did want to go out and have fun -- movies, dinners, concerts. So I made a New Year's resolution to date 5 different guys that year. I was working at the Department of Justice, where there were at least 4 times as many guys as women, so maybe something would happen. By June nothing had happened. I started to wonder about my resolution. Maybe I needed to do something to make it happen? I took a leap of faith, wrote a check for $100, and put an ad in the personals column in the Washingtonian Magazine (this was before online anything). To avoid paying for a post office box or giving out my address, I paid extra so that the magazine would collect the letters, and then send them to me. My ad got published and I sat back and waited. 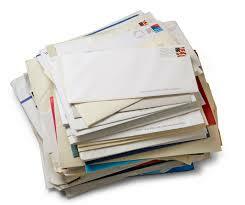 Finally, about 3 weeks later, a large manilla envelope came in the mail stuffed with more than 100 letters. I dumped them onto the sofa and thought about reading them right away. Then I realized that these letters were too good to keep to myself, so I hosted a brunch at my house and invited about 6 other women. As we were eating bagels, we dove in and started reading them. Any possibilities were put on the coffee table and the rest tossed aside. A large group of letters were from men who lived an hour or two outside the DC area. Toss. One of my friends, a lawyer at legal aid, shrieked when she got to the end of one letter. "OMG, this guy is my client! I just handled his bankruptcy." She ripped it up without telling us his name. And so we went until we had 7 letters on the coffee table. I contacted each of them and went out with 3 of them. The first was Ego Man, Elliot's best friend. He was a lawyer who worked for Congress. He told me that he was "smarter than anyone else" on the Hill. Hey, 1/5. The third guy was Mr. Fatal Attraction. We met at a local restaurant and liked each other and decided on a second date. After the second date, I invited him back to my house for coffee. He interpreted the invitation differently. When I pushed him away, he said: "When you invited me in for coffee, you invited me to stay and don't try saying otherwise." He wasn't kidding and was still all over me. Instinct took over. I looked him in the eye and said, "Have you seen Fatal Attraction?" Yes, he replied. "Well, I'm that woman in Fatal Attraction and if you don't leave this instance I will destroy your life and I'm not joking." He sat back and, luckily, got up and walked out. Only one more to go!! It was November. My officemate, Carole, was getting married and invited me to her wedding. I was pretty new to the office and didn't know any of the other 10 or so office folks at the wedding. Carole looked beautiful in the candlelight. An older guest slipped on the floor and an ambulance was called. Other than that, I barely remember the wedding. A few days later one of the guys at the wedding, who worked in my office, called me -- would I like to have lunch? I had no idea who he was, but I decided that lunch could be a date and I had a resolution to keep. I went to lunch and it was just chatty. We talked about work but nothing personal. There was no hint of it being a date. I got back to the office and wondered -- where I was going to find Date #5? Why is this so hard?? A few days later I bump into Mr. Lunch. I'm at the vending machine getting popcorn. He's leaving the gym. We said hello and that was that. Tick tock. It's December and keeping this resolution has become a thing. I need to find #5. A couple of weeks later, right before Christmas, Mr. Lunch called me again and asked me out for dinner. So that lunch was a date. I had met my New Year's resolution and didn't even know it!! This dating thing was starting to look like fun...I wondered who #6 would be. Turns out there was no #6. A little over a year later, Carole and her husband came to my and Mr. Lunch's wedding. Love your story about "Mr. Lunch." Such a cute love story. What a wonderful way to start the week with this read. Thank you ! This put a smile on my face this Monday morning. Oh, how fun! I answered my husband's personal ad ... and after a few hiccups we married three months later!! I love that you shared your story. We celebrated our 33rd wedding anniversary last June! oh I LOVE this! what a fabulous story! I met my husband through a friend of a friend; we all went kayaking in the summer and hiking in the autumn with a bunch of other friends for several years. Finally, my friend punched me in the arm while we were hiking and said "ask him out." then she walked up to him and punched him in the arm and said, "ask *her* out." So I did, and we kissed in Penn Station in NYC at midnight. Ta-da! We'll be married 8 years in June. Terrific story and quite romantic! I was thinking of you today because I was fantasizing about stopping in to say hello on my drive to/from Florida in Feb. And I was wondering how you met.Mike! I think this is a sign. I loved your story. Another affirmation that some of the best things in life happen when we least expect it, even when we might have looked and looked and looked and finally relaxed about it all. Happy living! This might be one of the BEST "How did you meet stories I have ever heard" . Thanks for sharing and being proof that some of the best things in life are worth waiting for. Such a great story. Thanks for sharing. My pun-y husband [who promptly turned me down when I took the bull by the horns to ask him to dance] would tell you: it was density! Love this, Joan! Is Happy Anniversary in order? I met my husband through a personal ad, long before internet, on a bet from a coworker. I got those envelopes of letters, too. He was my date #3. His letter stood out. He got "artistic" and made a several fold out card using really nice stationery and included this cute picture of himself standing next to his tool chest at work (major airline). On date 2, I told him he needed to pass "the Gretchen test". In other words, my schnauzer needed to approve of him. Apparently that pissed him off a bit. He came in and the rest is history. Gretchen became his girl and we were married 6 months later. That was 27 years ago. I loved reading about your story. Made me smile!!! Oh, gosh, I remember the days of personal ads. Never used them and wouldn't want to do online, either, but I got lucky. Considering how our paths crossed a year or so apart I'm pretty sure Rich and I were destined to be together. I'm glad your Mr. Lunch turned out to be your Mr. Right. A beautiful love story, Joan! I love this and I love reading what you write. You are so creative on so many levels!! You rock!! Awwww! Love that you ended up with Mr. Lunch:) Great story telling Joan! Awesome story - love a happy ending! But what was up with the hefty bag or grapes???? I'm with vdoyle8 above... I'm still stuck on the hefty bag of grapes. What the?!? Glad #5 worked out cause a couple of the others were scary! Your "mr Lunch" made me smile! What a wonderful, heart-warming story. I always enjoy your writing!